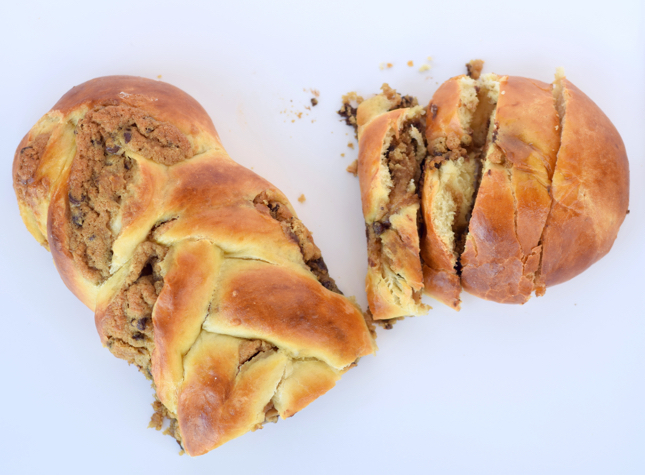 Our latest food hybrid is quickly becoming one of our favorites: Chocolate Chip Cookie Dough Challah. 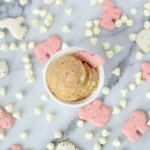 You see, majority of our most popular posts, images, & Instagrams include cookie dough in some way, shape, or form. Cookie Dough S’more Skillet, Cinnamon Rolls, Popsicles, the list goes on & on. Point is, you guys love our cookie dough recipes & we love you guys for giving us another excuse to incorporate cookie dough into our daily routines. Be warned: this recipe is highly addicting. 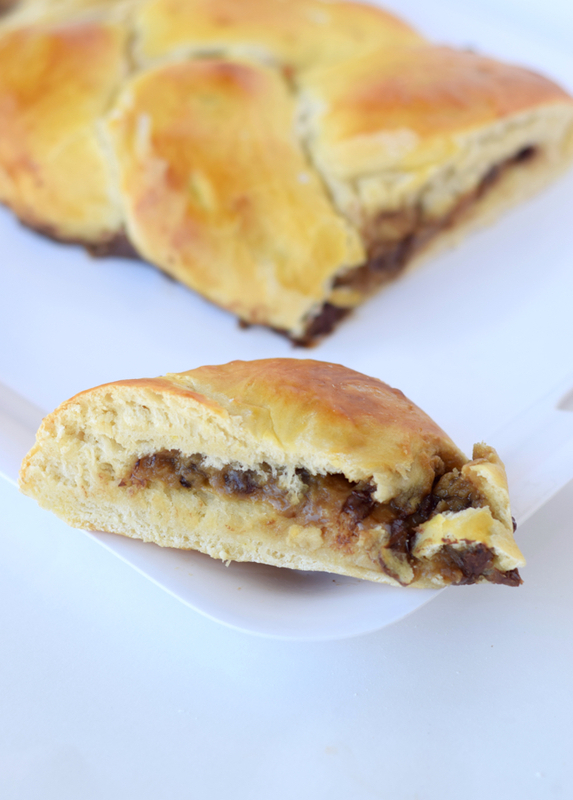 After all, it is soft, fluffy bread stuffed with mushy, gooey cookie dough. Yes, we do realize it’s about to be bikini season (ah!) 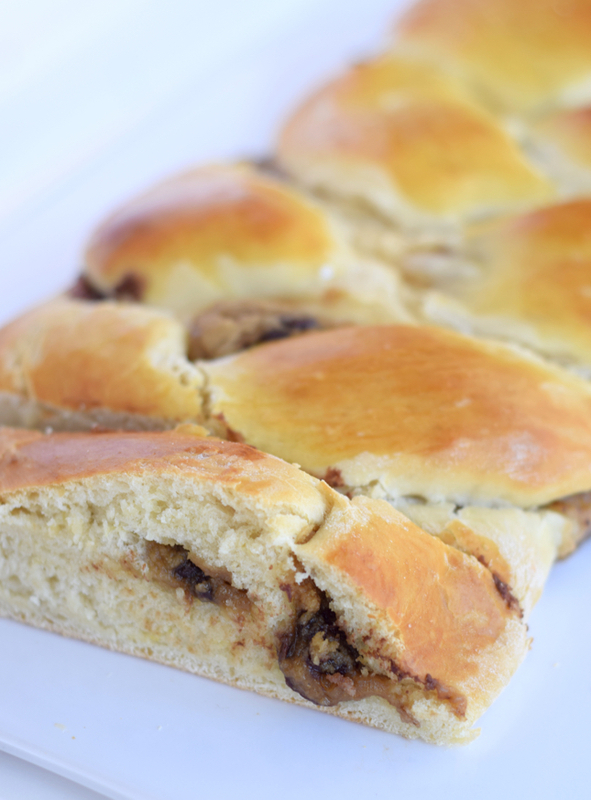 but just one little bite of this bread instantly satisfied our sweet tooth cravings. 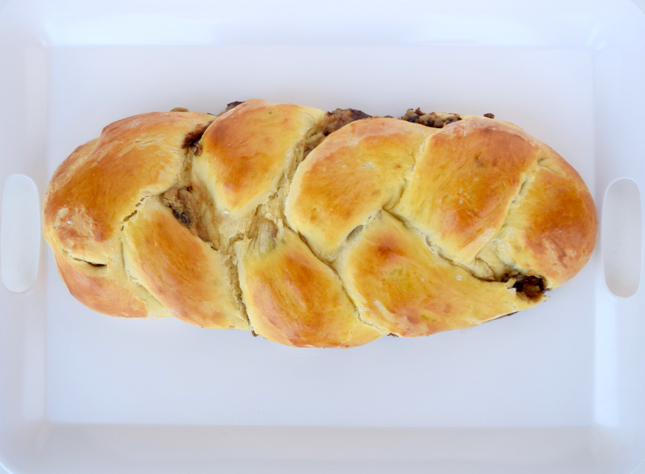 This recipe can easily make one humongous Challah or three small to medium sized Challahs. 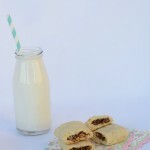 We love the idea of creating three smaller ones & filling them with different types of cookie dough. 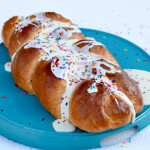 If you’re more of a cake then cookie person, our Funfetti Challah recipe is just for you! In separate mixing bowl, combine sugar, & flour. Stir to combine. Add oil, honey, & eggs to dry ingredients & stir to combine. Pour yeast mixture into other ingredients & knead for 15 minutes by hand (or mixer if you have one) until you form a ball shape. 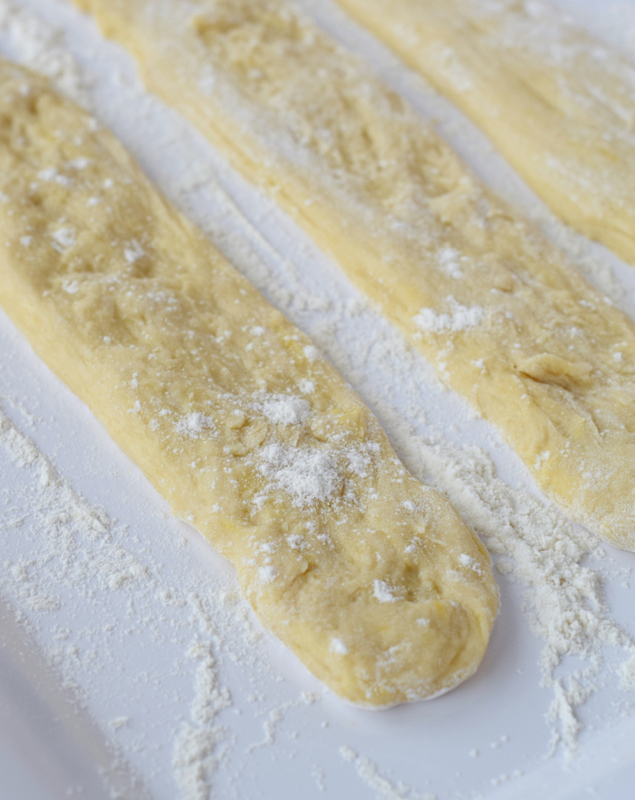 Slice dough into 3 long & thin even ropes. Place desired amount of cookie dough on top of each rope. 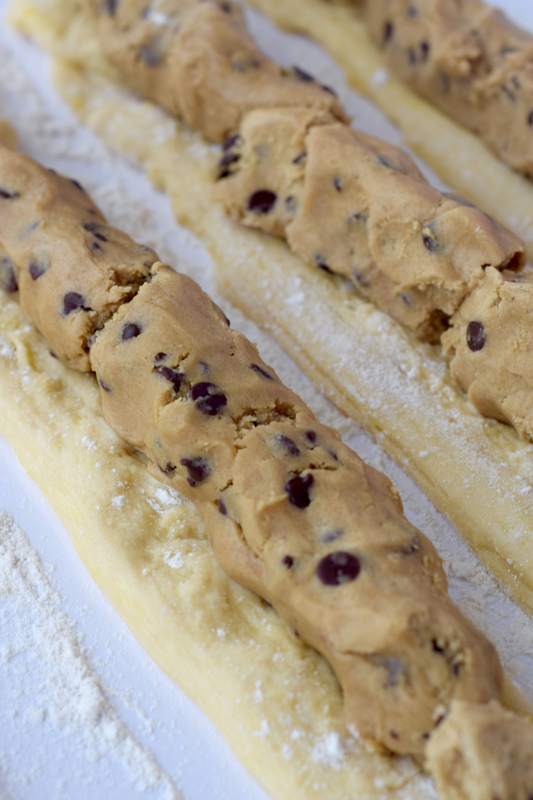 Roll sides of individual ropes around cookie dough so that the cookie dough is enclosed in the bread dough. 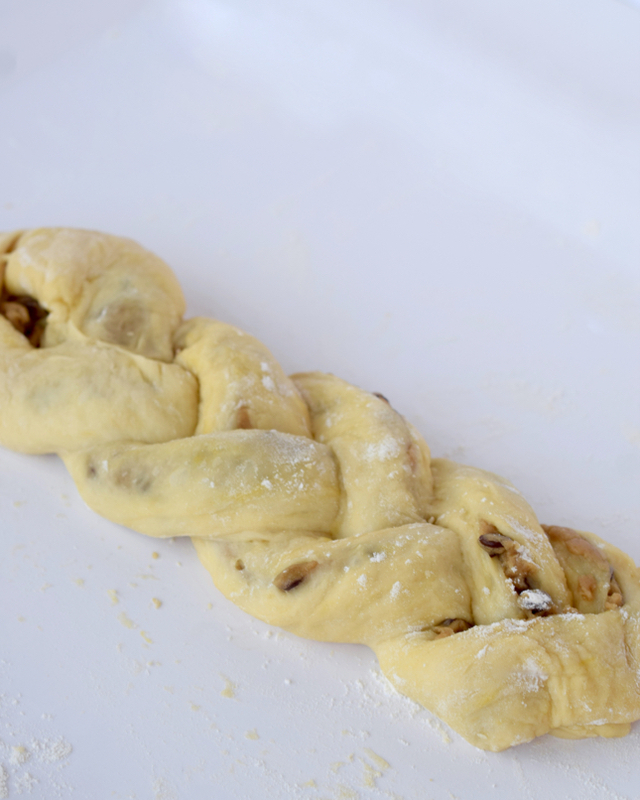 Attach ropes at one end by squeezing them together & continue by braiding the strands. Squeeze the other end together once braid is complete. Preheat oven to 350 F. Bake for 15 minutes & repeat brushing the egg wash over the challah. If needed, bake a remaining 15 minutes or until internal temperature is at least 160F. Let cool 15 minutes at least. Serve & enjoy! 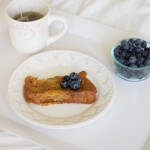 Oh wow… this looks amazing! So unique. Wow! This looks so tasty and pretty at the same time. 🙂 Thanks for sharing. oh my! 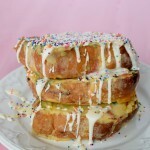 this looks so tasty and fun! 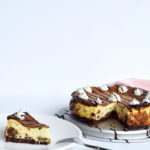 Wow, this looks so decadent! A great idea as a hostess gift too!